Pope Francis’ Real Reform is not that of the Curia Pope Francis: How Did We Get This Far? Perhaps the latest leak of confidential Vatican documents is also the latest act of a war being waged on the Vatican – Italian border. But beyond Italians concerned with the Vatican, there are other international powers, lobbies and multinationals involved. On the one side the Holy See defends its sovereignty, that is, in the words of Pope Pius XI, “that small piece of land that is needed to carry out our mission.” On the other side, Italy watches its influence over the Vatican decreasing over the course of the years, especially in regard to financial matters. Lastly – at a supranational level – there are the huge multinational corporations and international lobbies anxious to keep their hands inside the Vatican. There are no big revelations in the two books filled with confidential documents that were published the last week. There could not be any. As Fr. 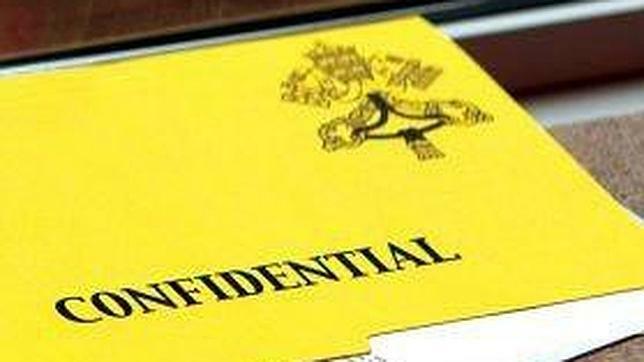 Federico Lombardi, Director of the Holy See Press Office, explained, the leaked documents deal with discussions that took place at an early stage, when it is normal for divergent positions to come out. There is one real element in this story: the reform of the Vatican financial system that has been ongoing for years. Obviously, not everyone was happy about that. Certainly, Benedict XVI’s pontificate gave the financial reform process a new impetus. Since the time of the IOR / Banco Ambrosiano scandal, the Vatican has begun to restructure its finances, as it was also doing with the Curia in general. The restructuring came as a consequence of the recognition that the Holy See had been trapped in the scandal. This fact is demonstrated by a book published in the late 1980s, “Ambrosiano: il controprocesso.” Basing himself on documents the author, Mario Tedeschi, denounced the Bank of Italy’s responsibilities in the scandal. The book was discreetly removed from circulation. Under Benedict XVI, the process of reforming Vatican finances took a definitive turn. The Holy See signed a Monetary Convention with the European Union in 2009, thus committing itself to enact an anti-money-laundering law. The Holy See adopted the law in 2010. But the law was written in a hurry and under the pressure of the seizure of 23 million Euros transferred by the IOR account into Italian banks. This is the reason the first anti-money-laundering law was written with regard solely to the Vatican’s relations with Italy. Moreover, for this reason, the then newly-established Financial Intelligence Authority was staffed only by Italians who came from the milieu of the Bank of Italy. This is the reason that much of the new financial system fell onto the shoulders of Cardinal Attilio Nicora, who enjoyed good relations with the Italian side and already had overseen many changes within the financial bodies of the Holy See. This first phase can be called the emergency period. The second phase started in 2011. A new anti-money-laundering law was enacted. This new financial system satisfied both the particular nature of the Holy See’s banking practices as well as international standards. But the new law also met with resistance. Headlines fostered the narrative that the new law was “a step backward” on the part of the Holy See in terms of financial transparency. This narrative was reinforced when Ettore Gotti Tedeschi, President of the Institute for Religious Works’ (IOR) Board of Superintendence, received a no confidence vote from the board. Nevertheless, the new system was submitted to the Council of Europe’s committee, MONEYVAL. MONEYVAL evaluates the anti-money-laundering laws of the member states on a peer basis. MONEYVAL gave a generally positive evaluation of the Holy See’s financial system, despite some hostilities registered by the Italian side even during the discussion at the European level. These hostilities vented themselves in the form of “leaks” to the news media. Not by chance the first MONEYVAL report came after the big disclosure of confidential documents that Fr. Lombardi nicknamed “Vatileaks.” These documents were used to attack the Vatican financial system and to coerce the Holy See into compliance with Italian requests, as if the Vatican system had to meet the expectations of other States. The real issue was that the reform enacted by the Vatican had brought to an end a series of privileges and relationships which had developed over the course of years. In his plan for reforms, Pope Benedict XVI had broken off these relations with the past. The Pope had inherited a financial system that had already undergone a long-term reform, and he brought the reform plan to the next stage. To cut a long story short, under Benedict XVI, the “men of compromise” who played games across the Vatican-Italian financial border, lost influence. The same fate damaged the old diplomatic ways represented by Cardinal Angelo Sodano, as well as the “clerical VIP” circle empowered during the Jubilee Year of 2000 and reinforced during the last years of St. John Paul II’s pontificate. In this circle, individuals within the Vatican as well as politicians and financial ‘pirares’ flirted together. This is the network that was damaged under Benedict XVI. To put it bluntly, the first Vatileaks scandal originated around the environment of that network. And that network returned following Benedict XVI’s resignation. When he announced his choice to resign, Pope Benedict addressed the issue in clear terms: he said there was need for a younger man to carry forward the long process of reform in order to spur it on. In retrospect it can be stated that many of the reforms earnestly called for by the external consultants invited to advise Pope Francis were already underway during Pope Benedict’s pontificate, as can be clearly demonstrated from the 2012 MONEYVAL Report: due diligence concerning the account holders of the IOR was assessed in very positive terms, and the so-called Vatican Bank already had guidelines and had already started screening its accounts; the APSA (Administration of the Patrimony of the Apostolic See) was going to be redesigned, and its few accounts were going to be closed; the financial system was undergoing a wider and deeper reform, and step-by-step, with new appointments, it was hoped that a real change of mentality could be achieved. We may even conclude that the cardinals in the conclave betrayed Benedict XVI’s good intentions. They chose Jorge Mario Bergoglio, already an old shepherd, with little knowledge of the Curia. He was supposed to bring about a revolution of mercy and to change the Church’s image. He was given the mandate of carrying forward a profound restructuring of the Roman Curia. In his wish to carry out this mandate, Pope Francis found himself under many pressures. Since the latter half of the 1990s, the Holy See hired auditors to certify its balance sheets. These auditors asked for a rapid acceleration in the path of reforms. Under these pressures, Pope Francis established two pontifical commissions of reference, one for the economic-administrative structure (COSEA) and the other one for the IOR. This latter was established after the IOR had seen its top officials replaced: the Director Paolo Cipriani and his Deputy Massimo Tulli resigned as a result of an investigation, and on the wave of that investigation the Promontory Financial Group, an international firm, was hired by the Vatican. The Promontory Financial Group was only the first of a series of international firms hired to advise the Vatican on reforms: one after another, Ernst & Young, McKinsey and KPMG signed huge contracts giving them access to confidential files. They made several proposals for a rationalization of the Vatican’s economic branch. But many of these proposals did not take into consideration one fundamental detail: these consultancy agencies were not called to reform a company, but a State. And a State is not accountable for its procedures with other States. Reading the two books published last week, it becomes clear that the leaks contained in them come from the environment surrounding the external consultants. The two books, however, offer only a partial point of view. Both of them want to show the Vatican’s illicit dealings, even when they are not all illicit. And the authors prove to be ignorant about many issues. For example, they do not know that profits from Peter’s Pence are used for administration; they do not distinguish between the Italian Church and the Holy See; and they make superficial errors in attributing titles to some individuals. One of the two books even described the (purely Italian) Cardinal Pietro Parolin as “a priest coming from one of the poorest areas of South America.” This is sufficient an error to understand that the books do not represent investigative journalism; they have been written as part of a smear campaign. That this is a campaign becomes evident when it is seen that the Holy See’s influence is always stronger at the international level. The anti-money-laundering system is working too. Last year, for the first time, the Holy See forwarded an international letter rogatory (international request) to Italy; meanwhile, the Vatican and Italy enjoy cordial relations, and a memorandum of understanding has been exchanged between the Vatican Financial Intelligence Authority and the Italian Financial Intelligence Unit, while an agreement with the Bank of Italy seems to be in the making. But the “men of compromise” do not want to give up. They would like to restore the system that was at work in older times, when Italy exercised a stronger influence on the Holy See. More simply, the men of compromise want to show the Holy See that they still can bring it into a crisis. We are not facing a trivial attack on Pope Francis’ reforms. This is an attack on the sovereignty of the Holy See. The Vatican responded clearly. The dossier concerning a Vatican investigation on a suspect account at the APSA was given to the Reuters international press agency on the very day that the two scandalous books were published. The investigation targeted Gianpietro Nattino, President of Finnat Bank. He allegedly used its (anomalous) account position at the APSA for money laundering. These financial movements took place between 2001 and 2011. The Holy See Press Office confirmed the investigation, and revealed that the Holy See had also submitted international requests to Italy and Switzerland in August 2015. Nattino, a Gentleman of His Holiness, was a very well-known banker in the so-called “white finance” environment, and is one of the outsiders most linked to the old hands of the Curia: he was very close to Cardinal Sebastiani, the Prefect for Economic Affairs, but above all he was one of the financial engines of the 2000 Jubilee Year celebrations. One of Cardinal Sebastiani’s protégés was also Maurizio Prato. According to the books published last week, Prato was one of the auditors who pushed for a change of pace in the path of reforms. The leak of this news was intended to show that the Holy See had freed itself from that system of impenetrability and illicit dealings that took place when the “men of compromise” were powerful, and that the new direction in Vatican finances allows no return to past practices. This new direction has been backed by Pope Francis, who has simply accepted it as the “new normal” in the Vatican. Under Pope Francis, the Financial Intelligence Authority has new statutes and a new board staffed with international members, while two new bodies to oversee the Vatican economy have been established, the Council for the Economy and the Secretariat for the Economy. The Prefect of the Economic Secretariat, Cardinal George Pell, is one of the targets of the “men of compromise”. Criticized for his personal expenses, his brusque approach toward Vatican formalities and some naiveté of his in understanding the Curia place him in a bad light, and make of him an easy target. However, his reforming determination tends toward a defense of the Holy See and helps to create a transparent and sound system. The men of compromise cannot like him. The “men of compromise” also continue to target Cardinal Tarcisio Bertone, former Secretary of State. He is guilty, in their view, of having supported Benedict XVI’s reforms. But his fault was to be have been at least as naive in backing some of those who are now against him. Cardinal Bertone, however, has always been loyal to Benedict XVI and to Pope Francis. In the end, the leaks seem to be the latest attempt to cast shadows on the Vatican in order to thwart Vatican reforms and exert influence over Vatican projects. The leaks, in the end, were the strongest means of pressure. Books with leaked documents were published in 2009, when the Holy See began its path toward adherence to European anti-money-laundering standards with the signing of the Monetary Convention, and again in 2012, when the Holy See started down the path toward accommodation with MONEYVAL and received a generally positive evaluation; and lastly today, when Vatican financial reform has been given a definitive shape, notwithstanding that, at the same time, the Curia of old has regained influence. Perhaps a new era of poisonings has begun. Pope Francis will be between a rock and a hard place. Those who backed his election had their own agenda. They did not just want Curia reform, but to hold on to the status quo of the last period of St. John Paul II’s pontificate. They are very well determined to attack everything and everyone if they cannot contain the reform agenda. Cardinal Pietro Parolin, the Secretary of State, knows this situation well, expert as he is in the difficult balance of forces – he was already well positioned in the Secretariat of State prior to Benedict XVI’s pontificate. It is not be by chance that the new board of the Foundation Bambino Gesù, the pediatric hospital under the control of the Vatican Secretariat of State, included Bianca Maria Farina, a prominent manager on the board of the Vatican Financial Intelligence Authority, together with Anna Maria Tarantula, formerly a Bank of Italy official, who served as the main contact of Ettore Gotti Tedeschi when he was President of the Council of Superintendence of the IOR and tried to foster relations with his Italian neighbor. But this move on Cardinal Parolin’s part will not be enough, as the Vatican – Italian border has gotten thin again. The real issue is not the Italian mentality within the Curia, as is usually said when a new direction is promoted within the Vatican. It is not by means of the mere injection of an international staff that curial maladies will be healed. The staff needs to be educated as to the real meaning of the Church’s mission. The real question now is whether the Curia of the past has returned. That Curia had links, intrigues and friendships with a certain Italian world. And now that world and its curial allies are hoping to get back to their former splendor. Great Andrea:How to explain that Msg Ricca was relly the President “ad interim” of IOR with his precedents in Montevideo…and now a priest in some form ligate to Opus Dei was acussed of leaks…may you help? Francisco, a few weeks ago, Opus Dei actually released an official press statement clarifying its exact connection (ligate) to Vallejo Balda. In summary, they provided him with sincere spiritual care in the spirit of Christian brotherhood and love promoted by the Church. No wonder they expressed “surprise and sadness” when they heard the story. I copy below the said press statement. This office has received requests from various news media regarding reports about Msgr. Lucio Ángel Vallejo Balda. In the first place, we are surprised and saddened by these reports. The Prelature of Opus Dei has no information about this case. If the accusations turn out to be true, it will be particularly painful because of the harm done to the Church. Msgr. Vallejo is a member of the Priestly Society of the Holy Cross, an association of priests intrinsically united to the Prelature. The Prelature has no right to intervene in the pastoral ministry nor in the assignments that members of the society carry out in their dioceses or in the Holy See. The mission of the Priestly Society is to accompany its members spiritually. Msgr. Vallejo was called to work in Rome by the Holy See, in agreement with the bishop of his diocese (Astorga, Spain). The Prelature of Opus Dei was not involved in this decision nor did it know about it until it was made public. Msgr. Vallejo’s only superiors are the Holy See and the bishop of the diocese in which he is incardinated (Astorga).